CarGurus has 8,561 nationwide RX 350 listings starting at $3,500. The Lexus RX line continues to be one of the brand’s most important, particularly the popular RX 350 model. It has seen steady improvements each generation, the most recent occurring in 2016. The RX gets no major updates for 2018—Lexus knows not to mess with a good thing. This latest model brought the RX 350 firmly out of Lexus’ historically cautious styling and into a design competitive with other pedigreed luxury SUVs. From the pinched spindle grille to the origami-inspired sheet metal and floating pillar, there’s no mistaking the RX 350 for anything else in its class. The same is true of the interior, with its unique blend of curved and chiseled shapes and tasteful appliques. The RX 350 moves into 2018 with the same impressive technology suite. The most visible feature is the optional class-leading 12.3-inch screen that comes with navigation-equipped models. Keyless entry and start, Bluetooth, a 9-speaker audio system, heated outside mirrors, rain-sensing wipers, and a convincing leatherette are all standard. 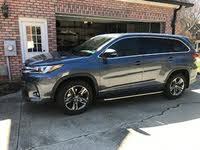 Options include authentic leather, heated and ventilated front seats, a heated steering wheel, a premium 15-speaker Mark Levinson audio system, LED headlights, a hands-free liftgate, and driver memory. Buyers can spec either a standard moonroof or, for an additional fee, a panoramic moonroof. There’s also the F-Sport package, which comes with unique front and rear fascias and sportier details inside and out. Motivation for the RX 350 comes from a 3.5-liter 6-cylinder engine with 295 horsepower and 267 pound-feet of torque and an 8-speed automatic transmission. Front-wheel drive (FWD) is standard, with all-wheel drive (AWD) an extra-cost option. The F-Sport configuration swaps out the standard suspension for an adjustable one with additional tuning, but the RX 350 remains a vehicle favoring comfort over performance. Estimated gas mileage is a respectable 20 mpg city, 27 highway, and 23 combined for the FWD version, or 18, 25, and 21 for the AWD version. Unlike its competitors, ratings are based on using regular fuel. Where safety is concerned, every RX 350 gets a reversing camera, driver and passenger frontal and knee airbags, and front and rear side curtain airbags. The Enform Safety feature enables the RX 350 with telematics functions for remote tracking, stolen vehicle recovery, automatic crash notification, and remote diagnostics. For 2018, Lexus has elected to include blind-spot monitoring standard. Buyers can opt for the Lexus Safety System+ package, which consists of a long list of safety and collision-avoidance features, like forward collision warning, automatic emergency braking, pedestrian detection, automatic high beams, lane keeping assist, lane departure warning, and adaptive cruise control. The Lexus RX 350 is the Goldilocks of its segment with a spacious interior, modern technology, handsome looks, and competent handling. Regularly listed as the top-selling luxury SUV, the 2018 RX 350 gives no indication that it will be giving up that title anytime soon. 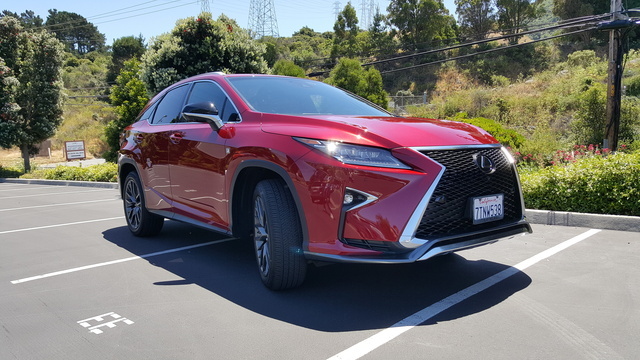 What's your take on the 2018 Lexus RX 350? 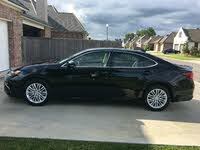 GuruBQ4J3 had to switch from Lexus to Volvo because of the front end on the new Lexus Whew! Have you driven a 2018 Lexus RX 350? Enter your zip to see incentives for a new RX 350 in your area. I want to know what seat protector is best for infant car seat. I want to protect the leather seats of my lexus RX350. Some reviews of some say they leave marks or bleed and such! All of a sudden the car doors lock only by the fob. All 4 door handles stopped working for touch lock feature. Unlocking isn't a problem with fob or handle. Car is only 4 months old.